Who better to showcase the brand's vision than those who live and breathe it? 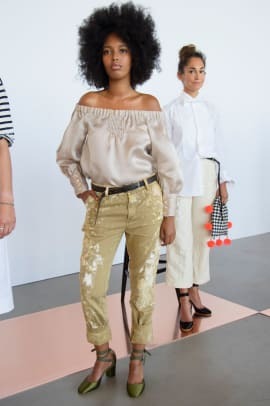 As we walked into Spring Studios for the J.Crew spring 2017 presentation on Sunday afternoon, something seemed a little off: Stylish folks that we normally spot in the crowd at these things — blogger-slash-photographer Tamu McPherson, fashion consultant Ramya Giangola and political PR prodigy and former "Girls" guest star Audrey Gelman, for example — were instead decked out in head-to-toe J.Crew, standing as part of the presentation. Those we recognized looked every bit as chic as they do in their day-to-day lives, and while they were certainly styled by the brand to help tell the story of the season, their personalities still shone through. That is to say, we imagine that they could actually have these very pieces in their own closets. 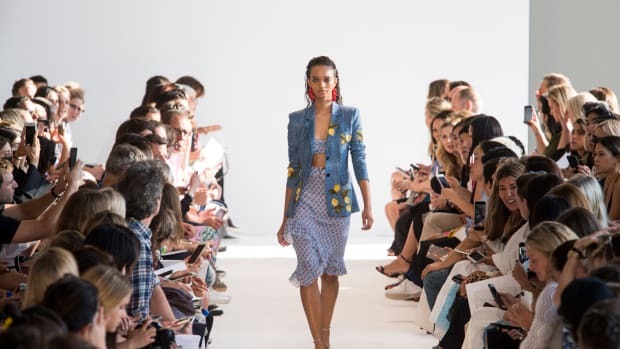 "We were talking a lot about what inspires us, and it&apos;s people in our office — people whose style and energy we love, people we go to dinner and hang out with," explained women&apos;s designer Somsack Sikhounmuong, who showed his debut collection for J.Crew back in February. "Just being able to put our clothes in that context and sort bring them to life was very cool." He was also sure to note that the casting process made for a great learning experience. "Having the women come in, we&apos;d give them options — maybe three things to try on and have them pick — and hearing what makes one woman feel beautiful is very different from what another woman wants and how she feels beautiful." 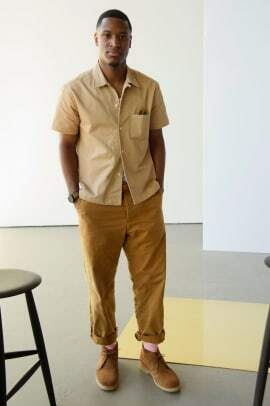 Some of the ladies, like Gelman, had men&apos;s pieces mixed into their ensembles, and the youngsters in the cast wore the main collection as opposed to kids&apos; — a nod to the fact that many adult J.Crew customers do occasionally prefer the shrunken fits at Crewcuts, or the oversized, slouchy silhouette they can achieve from shopping in the men&apos;s section. "Everyone [modeling] is in different stages of their lives: We have moms, dads, sons with their fathers and sisters," Sikhounmuong continued. One J.Crew staffer, women&apos;s stylist Jenny Kang (who&apos;s a former fashion editor at both Lucky and The Cut), is pregnant, and posed in an adorable, periwinkle wide-legged jumpsuit, further proving the versatility of these pieces. As for the women&apos;s clothing, Sikhounmuong calls the spring collection a reinvention of what J.Crew does best; the shirting fabrics the label is known for has been cut into gowns and ruffly skirts this time around, and there are nods to old-school American sportswear with wraparound apron dresses and ties cinched at the waist, for example. If the friends that stepped up to model in support of the brand are any indication, you&apos;re bound to find an option or two that looks great on you, no matter your age, shape or size. The retailer once again traded traditional models for staffers, friends, family and this time, Julianne Moore's daughter. With all eyes on the New York-focused brand's future, designers Dao-Yi Chow and Maxwell Osborne strive for newness. 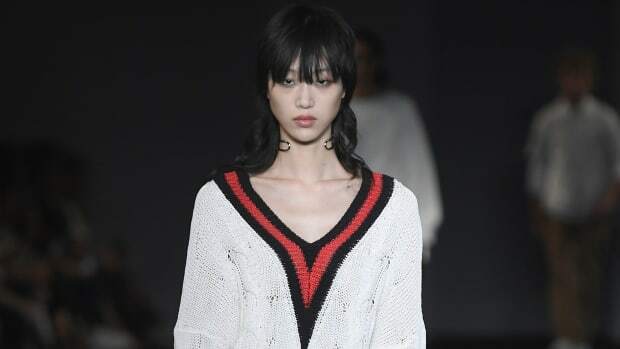 Do you still regret not buying that uber-popular varsity v-neck sweater in spring 2014? You're in luck. Cherries, candy stripes and the designer's sweet, signature gingham — what's not to love?